يقع Acacia Court Hotel في كارينس سيتى سنتر, كيرنز, هو خيار شائع بين المسافرين. يمكن من هنا للضيوف الاستمتاع بسهولة الوصول إلى كل ما تقدمه هذه المدينة النابضة بالحياة. يوفر الفندق بفضل موقعة الجيد وصولاً سهلاً إلى أهم معالم المدينة.
. إن الخدمات الممتازة وحسن الضيافة العالي في Acacia Court Hotel تجعل إقامتك تجربة لا تنسى. لضمان راحة ضيوفه، يقدم الفندق الخدمات التالية: مكتب الاستقبال على مدار الساعة, مرافق مخصصة لذوي الاحتياجات الخاصة, تسجيل وصول/خروج سريع, تخزين الأمتعة, واي فاي في المناطق العامة . تنعكس أجواء Acacia Court Hotel في غرف الضيوف.تلفزيون بشاشة مسطحة, بياضات, مرآة, تلفاز في الحمام, مناشف هي بعض الميزات الموجود في العديد من الغرف. إن ساونا, حمام سباحة خارجي, سبا, تدليك, ملعب تنس هو المكان الأمثل في الفندق للاسترخاء وتفريغ طاقتك بعد نهار طويل. مهما كانت دواعي سفرك فإن Acacia Court Hotel هو خيار ممتاز لإقامتك في كيرنز. I arrived at my hotel at 9.30am. Although I know check in is at 2pm, I was there to leave my luggage because my tour will start before the check in time. The lovely receptionist allowed me to have an early check in so I was still able to rest in my bed before my tour. I found the hotel to be very clean, the staff helpful, and the rooms adequate if a little bare. The rooms appeared to be freshly painted but there was little decor. The clientele was mainly Asian as were the staff. This must be why the dinner buffet was all Chinese food. The food was good but if this is an every night dinner it could become a bit much. The breakfast buffet was typical of all tourist hotels with lots of choices. A bargain option was the breakfast and dinner buffet and a glass of wine or beer for $45 Australian. The pool and grounds seemed well maintained. Most of the staff were very helpful and friendly but one of the receptionists was not welcoming at all! Which is part of the job when checking customers in. The room and bathroom were very clean but some of the furniture in the room looked a bit worn and in need of an update. Seafood buffet was ok and good value for money and the breakfast buffet had good variety. We enjoyed our stay at Acacia Court Hotel. It was great value for money. We were two people, but their standard room has a double and a single bed, which means that 3 people can stay. Therefore great value for money! We were on the second floor and I quite enjoyed the sunlight coming in through the big window - nice view. The room has got Foxtel, though we did not really use it. Nice and cozy room. The hotel location though, is a bit further from the restaurants and promenade than we actually thought when we looked at the map - about 10 minutes walk. It is not too bad, but at night when we were a bit tired, it felt longer than 10 minutes. Th The hotel has its own restaurant and the buffet was $29.95 per person which we thought is good value, but we ate out still. We chose the deal with breakfast included and we found it to be quite yummy, with a decent variety and good value for money. Staff was not overly friendly but they were polite and professional. Overall a good stay. Stayed here as part of honeymoon (which we informed them upon booking). Staff were uninterested in serving when we were checking in, only one working lift, ants in our hotel room, no working light in our bathroom! Nothing added for honeymoon either, which while is really looking for a bonus, was still disappointing nonetheless. Overall pretty lousy place to spend a night. Booking not there when we checked in had to wait ages while they resolved this. While this was being sorted various Asian guests just interrupted and staff setv d them. Notices all over lifts and common areas in Asian same for details in the room. The bath was dirty and there was no sound prodding in the rooms for the planes. Do yourself a favour stay somewhere else. Throughout our whole trip of 3 months this was the most unwelcoming hotel we came across. Completely geared up for the Asian market. The staff hardly spoke English, they were trying to be helpful but it was difficult to tell them our order. This Hotel is also the home of Charlies Restaurant, which we had heard great things about over the years. However,,,The meal arrived one plate at a time after a VERY lengthy wait for each. So you either ate the meat dish by itself and the rice dish by itself and the chicken dish by itself or it was cold before the next dish came. Dining experience was not great. There was only one bottle of a particular type of beer available then the next substitute beverage was not cold.. My spirits drink was nice. Although it was a week night we did expect the bottle shop to be manned and have enough change for us to purchase an item. (One can of drink) There was only one lift operating. The bed was comfortable and the room was old but looked clean. The towels had seen better days. All in all a cheap hotel to stay in close to the Airport, but would not eat there again. Disappointing that one of the 2 lifts is out of service - Seems it has been that way for 6 or more months. Staff told me that the whole thing has to be replaced and that they are still gathering all the parts. Other than that, GOOD VALUE, adequate breakfast and easy parking. I stayed for one night for business. The hotel is relatively close to the airport and the 24 hour reception desk made it easy to check in after business hours. The room was clean and comfortable. Good for what I needed. Stay was very enjoyable. The room was excellent, overlooking the ocean. 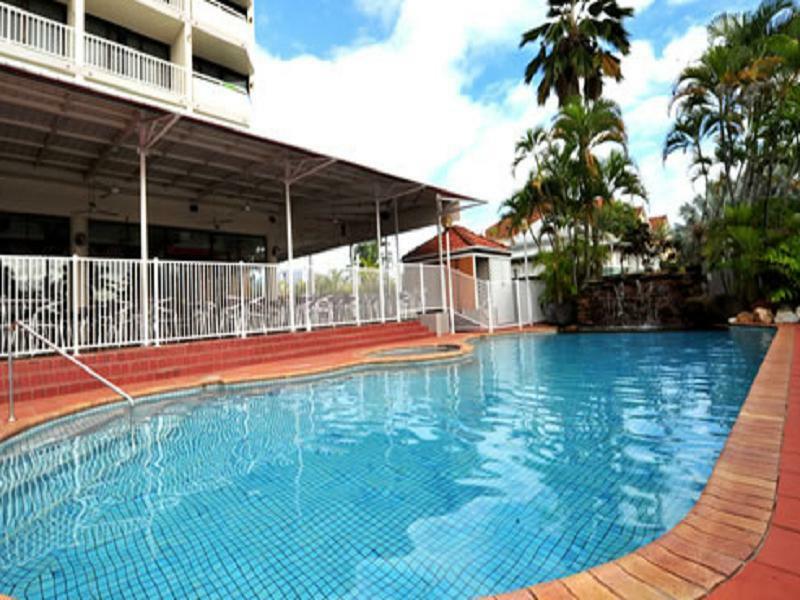 The staff were extremely helpful, even allowing me to leave my luggage at the hotel while I did a day trip to Kuranda before catching my flight to Sydney at 6:00 pm. There was an excellent dinner/drink/breakfast option for $35.00. I would recommend this hotel - the only reason I disagreed with your rating of 7.1 was I thought it too low. I have stayed in this hotel several times over the past few years and have seen it decline but on this occasion it is now unacceptable to be called a decent hotel. Mainly lack of facilities, unable to converse with staff, there was no understanding of basic instructions. Eg. To do laundry as per hotel instructions (was not completed) there were no guest towels for,pool, no,laundry powder, one lift was perm out of order and other lift was malfunctioning, unable to book tour at tour desk as lack of English by tour desk, evening meal was cold in the restaurant, spar hasn’t worked for years, Bed changes now every 3rd day with indications not enough linen or towels. These are just a few issues with a hotel which is now so rundown is cannot function. The maid staff are doing their upmost in a very difficult situation to keep the rooms as clean as they could and are to be commended. This is a shame because this was a terrific place to stay and even better place to eat in its day. Selected the hotel because of location and discounted cost ($95). Wouldn't have wanted to pay normal price. Didn't have enough courage to eat at the hotel haven seen the reviews. Everything seemed like the 70's and only one lift working. Front desk staff were pleasant. The hotel is very tired and in desperate need of refurbishment. The restaurant $35 buffet was just not acceptable. At 7pm most of the chafing dishes were empty or very small portions and weren’t replenish even though another 7 guest came in after me. The bed and pillows were as old as me and well used. Staff were friendly but, hard to understand. Sorry about this review but, it’s not a hotel that I would recommend or stay at again. 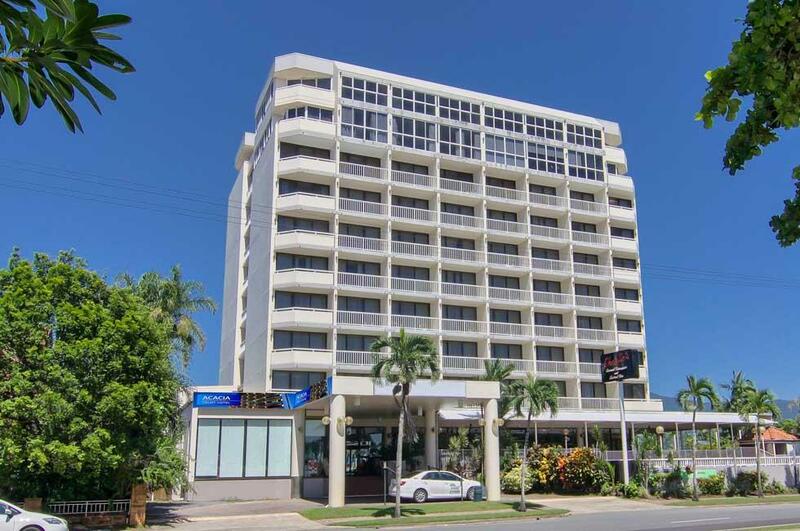 This was meant to be a special place for us being the end of our Australia trip so we splashed the cash (our most expensive stay in 2 months) .... you dont always get what you pay for !! ... the place was clean so well done the cleaners BUT as they say you can't polish a "T*"^d" .... dated and tired furniture carpets and overall mdecoration... odd light bulbs in the room ... light bulbs out everywhere in the building ... weeds outside the front door .... breakfast ... miss matched cutlery and crockery all though breakfast itself was fairly good .... for the money expected more ... for the money you should be giving more ... others venues are giving a lot more for £e$$ !!! ... was also a bit surprised to be asked for a cigarette by a member of staff who we had not even seen before !! hotel was OK...everything just average,i usually stay at the mecure next door ,witch is miles better.,but was booked out.I found the staff at reception to be a bit blunt and not too friendly,room was not too bad I guess.